Who doesn’t want flawless, glowing skin? However, for many of us, the only way we can achieve a radiant complexion is by purchasing it in a bottle. For those of us with–shall we say–problematic skin, the answer has been relatively neutral and mild mineral makeup. 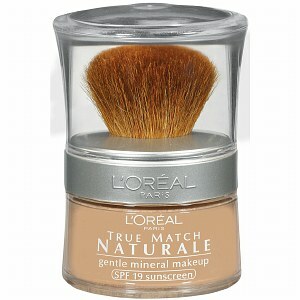 One of the best mineral makeup formulations available in drugstores is L’Oreal True Match Naturale Gentle Mineral Makeup. 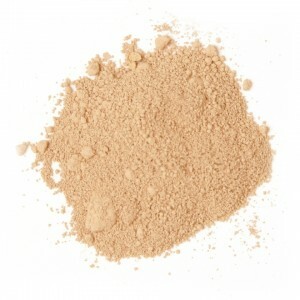 Mineral makeup has many detractors—makeup artist Bobbi Brown once referred to it as “pancake batter.” It can accumulate in fine lines, causing them to be very noticeable. It also isn’t strictly natural, as many brands claim. The principal component of mineral makeup is titanium dioxide, which is a compound that goes through chemical purification and extraction in laboratories before it can be used on the skin (you can’t find it in a mine and mill it in your home unless you want lead and mercury poisoning). Brands that claim that their mineral makeup is so pure you can sleep in it without breaking out aren’t being strictly honest, either. Anything that you put on your skin that doesn’t evaporate will clog pores if your skin is acne-prone. The only thing that makes mineral foundation special is the list of ingredients that aren’t there: mineral oil, fragrance and preservatives; things that often lead to skin irritation and breakouts. So how does that make L’Oreal True Match Naturale one of the best? Is it by virtue of being the first among losers? Not at all. While mineral makeup in general might not be the miracle in a bottle that so many manufacturers claim it is, it does provide excellent coverage for skin that is acne scarred or has an uneven tone. It doesn’t aggravate skin to the extent that a foundation filled with fragrances and chemical preservatives typically does. What makes L’Oreal True Match Naturale stand out, however, is the lightness and breathability of the formula. It provides excellent coverage day or night without the pasty finish found in so many other brands. It doesn’t wear off easily; I only have to apply the makeup once in the morning to have coverage that lasts all day. The finish isn’t pearlescent or aggressively matte; it is light and powdery and leaves me with a texture far closer to natural skin than the heavier department store brands. L’Oreal True Match has a sun protection factor of 19, which is decent, although not really enough for prolonged sun exposure. It is a very good value for money: from $10-$15 per 10 gram bottle in most drugstores (compared to $26 for an 8 gram bottle from BareMinerals). The downside–and it’s a big downside–is the jar. It is the most poorly designed powder foundation bottle I have ever used. It comes with a small and stiff applicator brush that is affixed to the lid and a clumsy, transparent top cover. It is very difficult to apply the product using these tools and it is even more difficult to tap the excess powder off of the brush without spilling it . The transparent top can’t be used as a mixing vessel in the same way that the lid of the BareMinerals container can because it is too deep. The shape of the lid makes using the included brush a very awkward task. Fortunately for the life of my foundation, I was able to solve these problems by pouring the product into my empty BareMinerals container so that I can comfortably apply it with my BareMinerals brush. Is L’Oreal True Match Naturale a good value? Yes. Does it work well with oily and/or acne scarred skin? Yes. Will it clear up existing acne? No. Does it provide long lasting coverage? Yes. Is the design of the container idiotic? Yes. L’Oreal True Match Naturale is certainly worth trying, just make sure you have a separate brush and container, otherwise you might wind up with more makeup up on the floor than on your face.